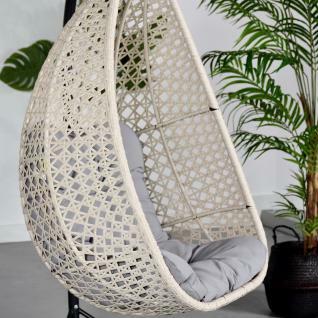 Rattan hanging egg chair, its 15cm thick cushion adds extra comfort. Chic and retro love seat perfect for both indoor and outdoor use. 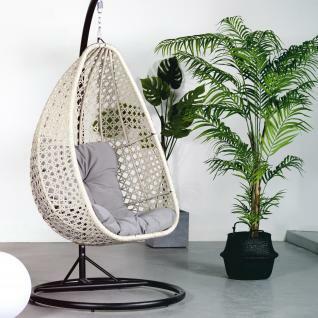 This hanging chair comes with a stand. No ceiling attachment necessary! The large round base guarantees easy maintenance and optimal stability. 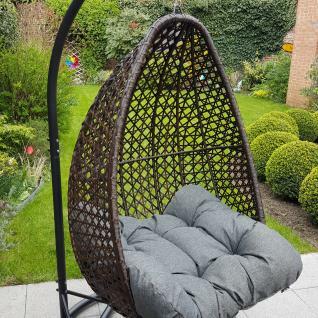 The chair swings smoothly and safely. 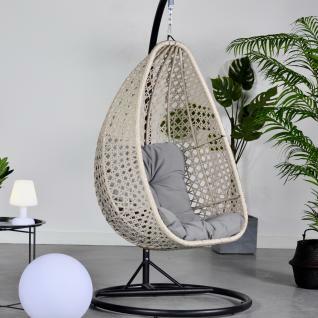 You will be floating in the air, just like with a hammock. A spring and chain in galvanised steel provide solid support. This product is suitable for one person and can support up to 160kg.